35 weeks pregnant. Well, I’m actually 35 weeks and five days as I type this because I’ve had such a busy week! 19th April 2016. Though sometimes, based on how sore I am, I wonder if it will be sooner! Well, I feel like she’s really at home in there. She moves when I expect her to move, and wiggles when I expect her to wiggle. I feel like she knows when her older brother has gone to bed, as, as soon as I sit down after putting him to bed, she shows off as much as she can. “Mum! Dad! I’m here!” That’s how it feels for us. I can’t wait until she’s here in person, and we have those moments together, just slowing down and marvelling at how beautiful and tiny she is. She’s 46cm from head to toe, and the size of a honeydew melon! Weight wise that is around 5lbs 5oz, but as always, I feel like she’s a little bit bigger than that. And when you consider that my waters, and my placenta weigh a fair bit too, it’s no wonder I have back-ache! I’m not so bad these days. The tiredness has fully kicked-in, and I do find that tough, but I have eight days left in work, thanks to Easter, so I’ll cope! I do feel like I’m slowly starting to switch off though. I feel slower, like my brain is shutting down a little bit, and I am just ready to rest. I’m craving strawberries like a crazy lady. We’re talking a good punnet a day here. They make me extremely happy beyond belief. I’m also extremely thirsty and I feel like I’m always drinking something these days, which doesn’t help with the nighttime toilet trips. Sleep is pretty bad. I’m very uncomfortable and I am fully aware of moments where I am dozing, and that’s the best I can do at the time. I really miss being able to find comfort in any old position. These days I’m always having to rearrange myself and I find it so frustrating! Oh – and I had to hit up the Lactulose this week, because I’m bunged up again. Hurrah for pregnancy poo-talk. What a charm. I have also had a fair amount of tightening and discomfort these past few days. And some serious lightning crotch, which has me yelping sometimes. I wonder if she’s engaged? I have the midwife again on Wednesday, so we shall see! It’s funny, I have been looking through some old blog posts today (as I’ve redesigned my blog – what do you think?) and I was reading these posts written by this lively, energetic individual who was doing so much with her time and looking great (if I can say that). She feels like a stranger now. That was me? I miss that. Why do we never appreciate how well we’re doing until it’s in the past? It’s made me determined to get back to that though. I miss having that energy to cook something new. Or just get out in the garden and weed. Or transform a piece of furniture. Or do some crafts with Bill, or simply to make something nice to hang on the wall. I also – and goodness knows I never thought I would say this – miss my figure. I worked so hard to lose weight and I did so well. I was wearing crop top (tastefully I might add) for crying out loud! Now I’m a pudding. And to be honest, that wasn’t helped by a man shouting “nice thighs” at me and laughing when I was in Manchester this week. I didn’t say much at the time, because I was reeling to be honest. Everyone has said how well I’ve done weight-wise, and how great I’m looking, and I’d finally started to believe it. And now, well, my confidence is in tatters. But anyway, I won’t dwell on that. It’s not worth my words. Other than that I’m just nervous. I’m nervous for what is coming. I hope I manage it. I hope I do okay. I hope she’s okay. It’s hard walking back into a hospital knowing that you’ve got a mountain to climb and your world will change forever. You’ll come out a different person. Again. 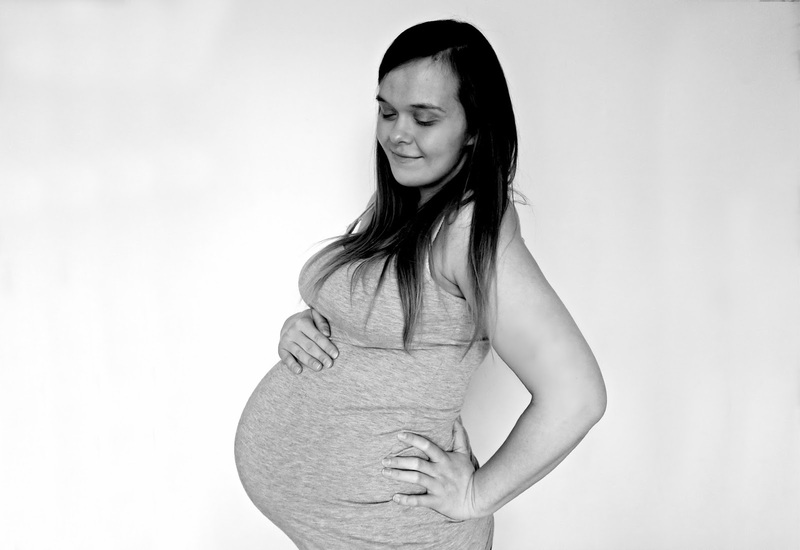 I've just found your blog, you are such a gorgeous pregnant woman! Lightning crotch is so incredibly painful…I had it with my second, luckily not my third though, it's the worst. I'm excited to follow the rest of your journey :).